Always wanted to try juicing but never found the right one? Or are you just tired of your old, used juicer and looking to upgrade? Here’s your opportunity to win a LifeSpring Juicer for yourself! 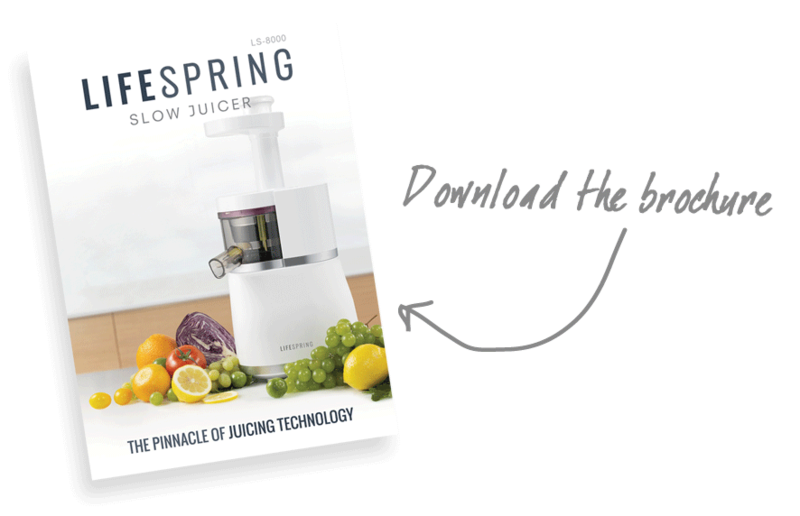 We’ve partnered with Foxtel’s LifeStyle Food channel to give away 1 LifeSpring Slow Juicer for the winner to test and review. All you have to do is submit your entry form online at the Lifestyle Food website. The best part is, you can enter as many times as you like! Newly launched late last year, the LifeSpring Slow Juicer gives you the maximum nutrients and enzymes from fresh, raw fruits and vegetables. By slowly cold pressing juice out of fruits and vegetables, the LifeSpring does not destroy any of the living nutrients from the juice. Utilising new juicing technology, the LifeSpring produces more juice and much drier pulp thanks to its mutually counter rotating auger and strainer. By creating more torque, the LifeSpring extracts much more juice than the average cold press juicer. Made with BPA-free materials and a strong AC motor, the LifeSpring is safer and much more durable. Its LED operation buttons are waterproof and leakproof, and it even features a smart Auto Reverse function that puts the juicer into reverse if it ever gets stuck or overloaded! Make more than just juice with the LifeSpring Juicer. It comes with a recipe booklet and a full version recipe e-book is coming soon. Download the brochure below for more information on the LifeSpring. The LifeSpring juicer is available for purchase on Andatech.